I sit at my desk plotting and planning what my next moves should be; at 27 the decisions I make now will extend for possibly another 50 years or so. At every turn I’m asking is this the right move? But I don’t know and I start worry. And when I’m finally thinking everything’s settled more questions come my way. Though I think oh man why are there all these uncertainties? I miss the fact that it’s always been this way and always will be: just a shitload of questions and uncertainties and living with them as best we can. And behind me she sleeps, looking so at peace. Sometimes I ask, why do we have to wake up? 昔者莊周夢為蝴蝶，栩栩然蝴蝶也，自喻適志與，不知周也。俄然覺，則蘧蘧然周也。不知周之夢為蝴蝶與，蝴蝶之夢為周與？ ---- Once Zhuangzi dreamt he was a butterfly, a butterfly flitting and fluttering around, happy with himself and doing as he pleased. He didn't know he was Zhuangzi. Suddenly he woke up and there he was, solid and unmistakable Zhuangzi. 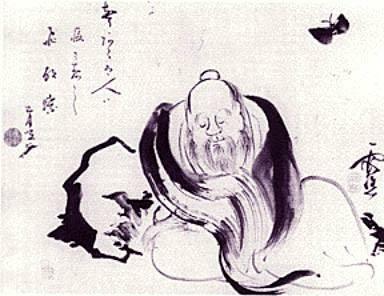 But he didn't know if he was Zhuangzi who had dreamt he was a butterfly, or a butterfly dreaming he was Zhuangzi. Garmin Forerunner 305 in Singapore!